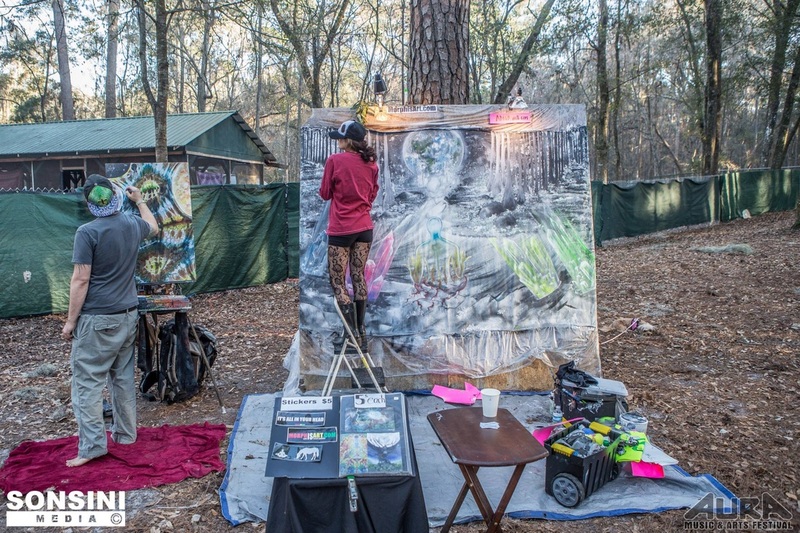 Artists Chris Morphis and Ania Amador have live painted at concerts and events of all different sizes across the United States, including festivals such as Aura, Counterpoint, Wakarusa and more. 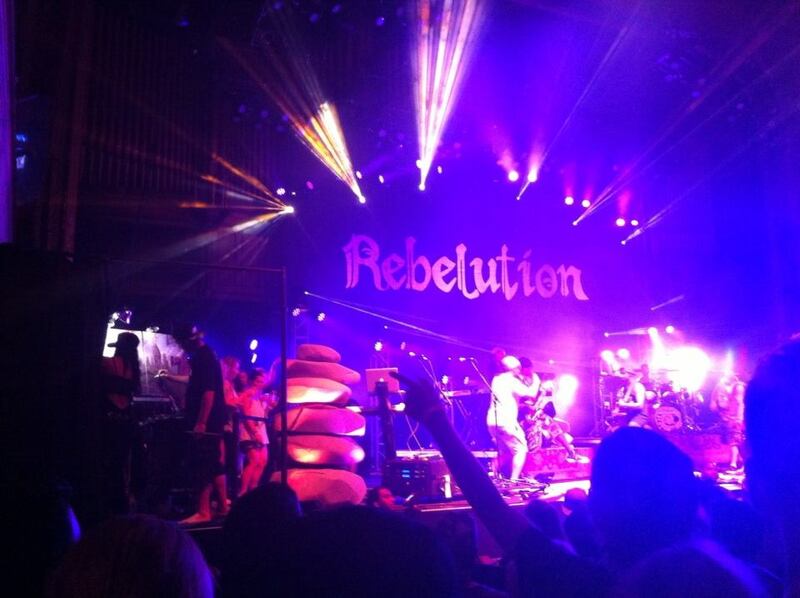 They have toured with bands such as Tribal Seeds, Fortunate Youth, Matisyahu, Rebelution and more, often painting live on stage in front of large crowds. The combination of their extraordinary speed and talent leave viewers and awe as they watch the painting unfold from start to finish before their eyes! Music is one of their biggest inspirations and Anamorphosis Art has been blessed with the oppurtunity to paint with some of their favorite musicians. In an attempt to help spread a positive message about peace, love, liberty, and spirituality, they have teamed up with some of roots reggae's most talented bands, painting in different cities across the country. 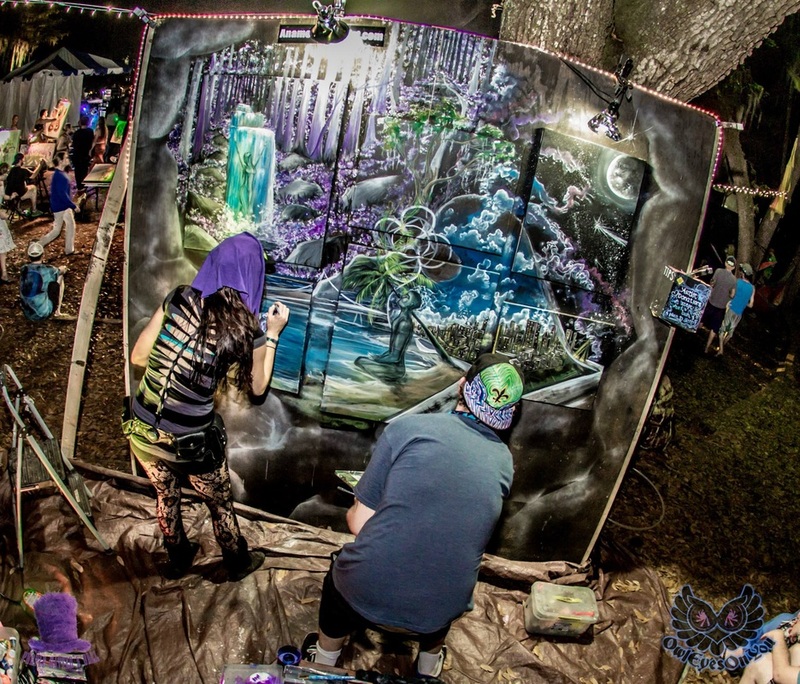 The live painting experience brings a whole different energy to the show, bringing the message to life before your eyes in this unique art form. As independent artists and as a collaboration, Chris and Ania have participated in art programs at festivals across the country. The Morphis Art Collective participated in the California Roots Music Festival again this year (2014) with an interactive Art Wall. ANIAwall Murals and Design built and painted 128ft wall of large scale murals at String Cheese Incident's Suwannee Hulaween (2013), and will be doing it again in 2014. Together they constructed the Mural Collage at the annual Purple Hatters Ball, painting a large scale mural on top of six canvases in only two days!